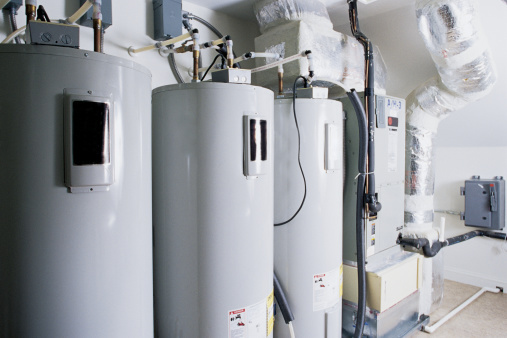 Hot water heaters are usually found in out-of-the-way places such as basements, garages or closets. Therefore, many people hardly ever clean them. Even though they are not often in view, there are several reasons to clean your hot water heater, inside and out. First of all, sediment will collect in the bottom of the tank over time. This sediment comes through the pipes in the form of sand, grit or mineral deposits. The sediment can make its way into your water supply, and it can also make your hot water heater function less efficiently. 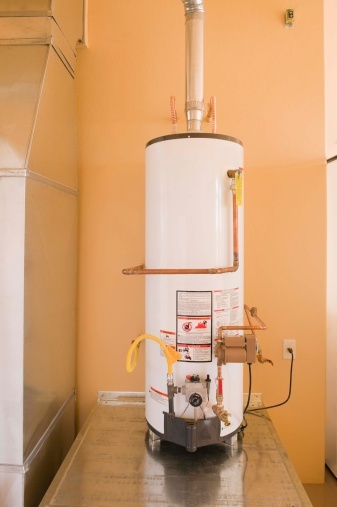 As for the outside, keeping your hot water heater clean will keep it from deteriorating and rusting. Turn off the hot water heater. If there is a thick layer of dust or dirt on your hot water heater, use a shop-vac to take off as much dust as possible. Use the crevice attachment to clean underneath the tank, around the pipes and behind the hot water heater. Wipe the hot water heater down with a dry cloth to get rid of as much dry dirt as possible. Use a slightly damp rag to wipe down the hot water heater. If necessary, use a spray cleaner such as Lysol or Windex to help remove stubborn spots. After you have used the spray cleaner, once again wipe the heater down with a dry cloth to make sure there are no wet spots. Prepare to drain the tank. After the outside of the hot water heater is cleaned up, you'll be better able to drain the tank, which will help to clean the inside. Many manufacturers warn against using bleach or other cleansers in the tank. It may be impossible to get rid of the soapy residue. Therefore, draining the tank is a better alternative and will help get rid of most, if not all, of the sediment that collects in the tank. Make sure that the hot water heater is turned off. 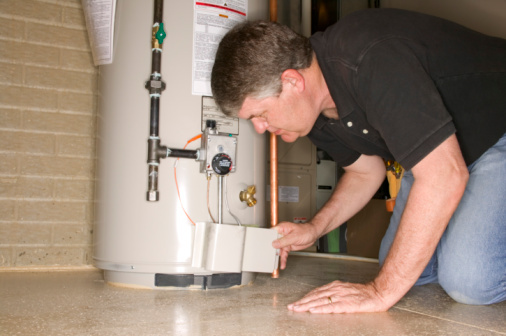 Turn off the "cold" water supply to the hot water heater. Attach a clean garden hose to the drain at the bottom of the tank. Lead the hose to a place where the water can drain, such as a drain in the floor or a bucket that you can empty somewhere else. With your drain hose in place, open up any hot water faucets in the house and allow the tank to empty. Be patient. This may take awhile. When the tank is empty, shut off the drain valve at the bottom of the tank and turn on the cold water to loosen any remaining sediment. After the tank is partially filled, drain it one more time. If you notice that there is still a lot of sediment coming out of the tank, consider filling and emptying it several more times until the water runs clear. If your tank held a significant amount of sediment, make a plan to drain your hot water tank on a regular basis--maybe twice a year. 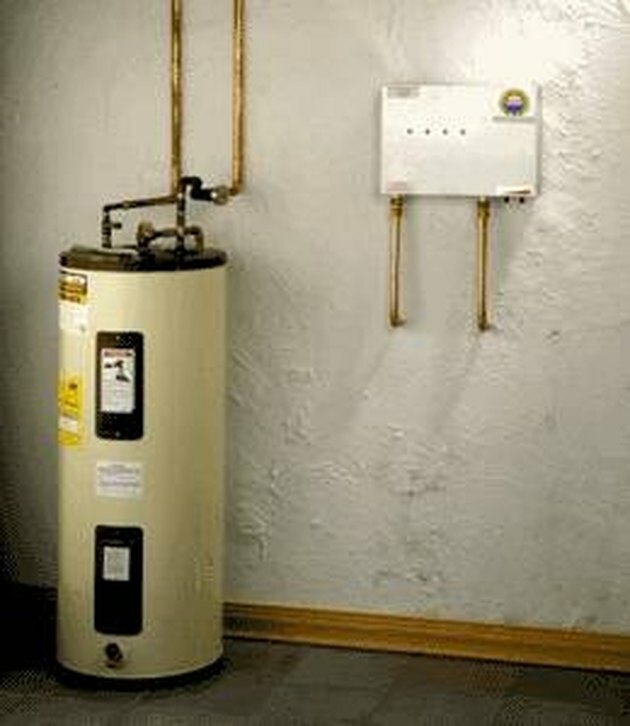 Although this maintenance takes time and effort, it can extend the life of your hot water heater by many years.